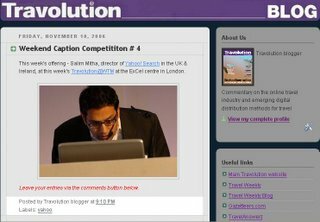 Some of the more observant visitors to the Travolution Blog will have noticed we have had a wee re-design over the weekend. Nothing too fancy. We are taking advantage of the Blogger upgrade, which includes a general freshening up of the pages and, most importantly [and about time too! ], the use of tags for each post. However we were shocked to learn that we have a disgruntled user - "Where has the Travolution Travel Search Engine gone, Mr May? ", said an email this morning. Our apologies. Our frighteningly well-received and handy tool has been restored to its rightful place, just over there in the right-hand navigation bar. It was never our intention to keep it permanently, but for fear of a user mutiny we will keep it in place for the time being. And our apologies to the disappointed user! 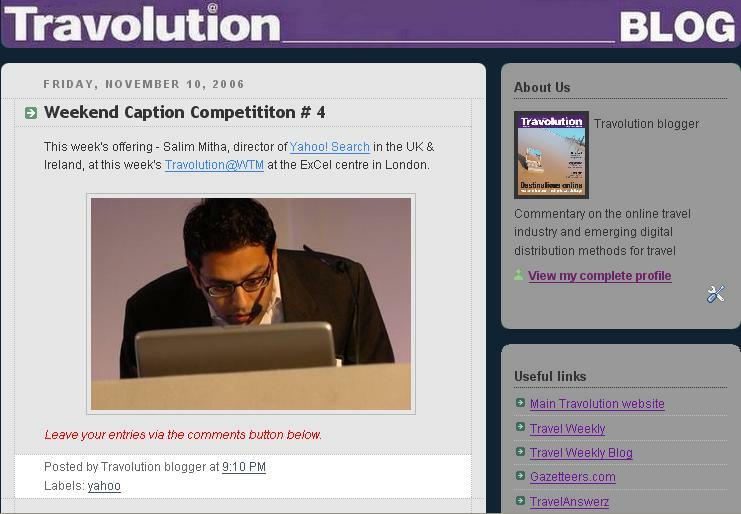 looks ok. would love to know why you seperate the blog from the rest of the travolution online stuff.